Autumn is an exciting and busy season and my favourite time of the year to come up with fresh landscaping and Autumn garden ideas. It is a time when you can look at your garden critically and improve on what you have, as well as comfortably perform tasks in the garden to prepare it for winter and spring. Take a nice long stroll around your home and through your garden and consider your surroundings. Is there anything that is crying out for attention? Does the path need re-thinking? How is the garden edging holding up? Maybe now is the perfect time to deal with it. So, where do you begin? Well, here are a few simple garden ideas to get you started. A general clean-up is advisable. After a long, hot and mostly dry Spring-Summer season, it is time for many plants to begin slowing down their growth and regain some energy. Prune and shape any plants that have flowered and are looking tired, get rid of any old baggage such as twiggy branches and then carefully cut them to the desired shape. Clean-up the palms by getting rid off all old yellowing fronds to make way for the new. Look out for any disease problems or pest infestations and treat with an appropriate and safe product. 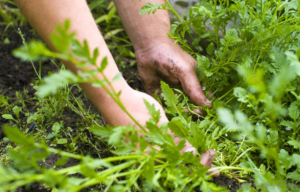 Get out your weeding fork and remove as many weeds as possible. If it is a real problem, layer 6 sheets of newspaper over the top and weight down with newspaper to effectively block out the light. Carefully pouring boiling water over large hard to pull out weeds will also help but be careful with this one and don’t spill it on yourself or prized plants. The next of our Autumn garden ideas is to look at the condition of your soil. We have helped residents on the Gold Coast improve their soil for over 20 years and see outstanding growth and health results from simply feeding and improving the structure and promoting life within the soil. If your plants are looking yellow or maybe just not as lush and vigorous as you’d expect, or if the soil is dry and sandy and not holding water then this task is a must. Even the worst soils can be rejuvenated so they become rich and naturally fertile, yes, it does take some time to do, but just imagine a garden that is naturally strong, healthy and of course beautiful; it is worth the effort!! Finally, the last of our Autumn garden ideas for today is to mulch your garden. Research has proven that 1 to 2 inch Pine bark chips are the best for gardens because they allow the soil to breathe and water to flow freely through; this type of mulch will also one of the best to prevent weeds. If you need any help in your garden please feel free to give us a call on 07 5532 5554. 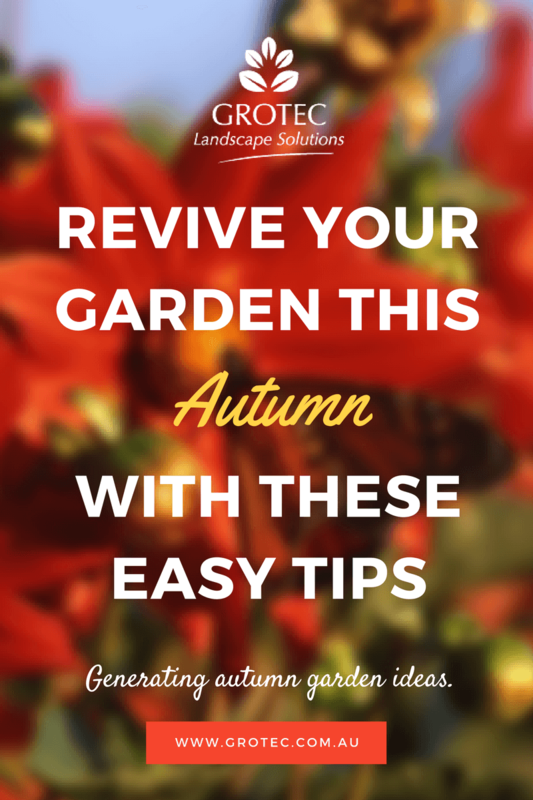 Think up some fresh Autumn Garden Ideas for around your property!